I have recently come to the conclusion that nothing does what it says on the tin any more. Or at least what is written on the tin has ceased to have much to do with what’s in it. This has particularly come to mind over the past week. There was the announcement that, at last, there will be an inquest into the shooting of Mark Duggan which supposedly ‘triggered’ last year’s riots. A report making the case for local authorities to raid their employees’ pension funds in order to boost housebuilding, was another prompt. And then there was the story about how Cancer Research UK was voted the most popular charity ‘brand’, with the likes of Greenpeace, Oxfam and Amnesty International not far behind. What struck me the most about the latest riots-related news was, first of all, this idea that Duggan’s death in some way caused the riots. I don’t think it did in any meaningful sense. It is perhaps better to understand what happened as akin to the assassination of Archduke Franz Ferdinand in 1914 and the outbreak of World War I. The events were connected but almost arbitrarily so. But in the absence of anything else, it seems to have become the stand-in for an explanation for something that was quite inexplicable and unexpected. While apologists for the rioters have talked up the poverty, lack of opportunities and poor relations with the police, none of these while attendant factors explain anything. While I don’t accept as some have argued that they weren’t riots at all – according to my dictionary a riot is a ‘noisy disturbance by a crowd’ – they were fundamentally lacking in any sort of content. The violent public display (what was written on the tin) rang hollow. Not that this stopped commentators, politicians and academics – no less opportunistically than the rioters themselves – hurriedly projecting their pet theories onto what were meaningless, if no less serious for that, outbursts. The world of housing policy, not known for its outbursts of activity – as the absence of housebuilding attests – has also been failing the Ronseal test for some time now. The latest wheeze in an increasingly desperate attempt to boost ‘affordable’ housing and inject some life into an inflated yet standstill housing market, only confirms this. While all sorts of bad ideas from blaming under-occupiers and those with second homes for the housing crisis, to creating new confusing mixes of traditional tenures, are entertained by those hopelessly steeped in bricks ‘n’ mortar jargon; they seem not to notice that housing policy is no longer about housing as such. Social landlords, for instance, don’t build houses any more. They like to be known as ‘community builders’. They are providers of social services, on the one hand, ‘supporting’ their allegedly vulnerable tenants, and getting heavy on the other, policing the anti-social ones. According toDavid Orr, chief executive of the National Housing Federation, ‘the mission is to improve people’s lives, to help them fulfil their potential, to support their aspirations and to create functioning and healthy communities’. Even if that was all all very well – which it isn’t – that’s not what it says on the tin. The charity world, by way of contrast, has been guilty less of mission creep than of a complete absence of mission. Which is ironic when you think about it. The association of the very notion of charity with the religious orders of missionaries who sought to spread the word; or with the pious reformers of the 19th Century at home penalising and patronising as much as helping the poor, may not be entirely flattering. But it is a reminder of a time when there was no doubt as to the message. Today’s charities evidently have a great deal of difficulty articulating what it is they stand for. There are a number of reasons for this. The reliance of many, particularly the most well-known, charities on the state with regards both their funding and policy agendas, are foremost among them. But it is the absence of that desire to meet desperate need that led Dr Barnardo to create a school for the East End’s orphaned and homeless children; or of that sense of outrage at the filmic depiction of homelessness in Cathy Come Home that led to the creation of Shelter. Its not that we lack social problems. While grinding poverty and child destitution are largely problems of the past, there are a few good causes I can think of that don’t get the attention they deserve. Whether its campaigning for real development rather than the so-called sustainable development that world’s poorest typically get, or in defence of those scientists and institutions experimenting on animals in the interests of medical science. Whatever you deem to be a good cause I urge you next time somebody rattles a tin – or in the case of a chugger, their clipboard – in your direction to enquire as to its contents. Not literally, but what is it that they are campaigning for and why should you help them with it? The same goes for Orr and the housing sector. If you are no longer about building and managing the housing stock but would rather manage tenants’ lives, then whose going to solve our housing problem? And if we are to make sense of what happened last summer then we need to get to grips with the mismatch between the rioters’ vandalism of their communities and the worthy excuses. I’m sure there are other similar wood-treatment products out there but only the Ronseal test will get us any closer to making sure that riots, housing associations and charities do what they say on the tin. Pop-up communities: here to stay? This is an edited version of my contribution to a debate on Saturday, part of the After the Riots strand at the Battle of Ideas festival held at the Barbican, London. I didn’t see the previous debates in this strand. My wife is expecting our first child so I have been in Antenatal class all day. I wouldn’t have mentioned it except that being a parent – or being a ‘good’ parent – seems to have more than a personal significance these days. Especially after the riots. Bad parents, problem families, or the ‘troubled families’ discussed this morning, were quickly blamed. Or else patronised by those claiming to want to ‘support’ them. I don’t know what he had to say this morning, but I was pleased, shortly after the riots, to hear David Lammy say what a number of us had been banging on about for a while. Parents feel undermined by a political class that tells them how to bring up their kids; or in the case of smacking, how not to. Sadly he went and spoilt it all a few weeks ago when he blamed knife crime on absent fathers. Or was it absent fathers on knife crime? It doesn’t make much sense either way. The tendency to indulge young adults’ very violent tantrums no doubt came up this morning too. But it is this notion that grown-ups just aren’t very grown up any more – that the previous debate focused on – that is a good way into this debate on communities. Adults don’t seem to have the authority they once had: whether it’s bringing up their children or holding the line against riotous youth. It is this crisis of authority that in my view created the conditions for last year’s riots, and continues to make an effective community response so very difficult. I’m no localist but I was none too pleased to discover that my adopted neighbourhood of Walthamstow had been destroyed. Not by the riots – there was a bit of looting, but nothing too serious – but by the Boundary Commission. While the places we live – they are hardly communities really – tend to be anonymous and disengaging, especially in London, most of us still don’t like unwanted interventions and impositions from outsiders. So, while we barely talk to each other, I still resent the prospect of me and my fellow Stowians being divided up between neighbouring Leyton and Chingford as is proposed. On the non-parochial plus-side I also get a kick out of people sticking up for their communities. So when around 1,000 residents of Clapham Junction arrived on their riot-hit streets armed with their brooms this was rightly celebrated after the events of the previous nights. It made a nice change to see communities taking the initiative where the authorities had failed. They were out there all big society-style and without the usual complaint about the impact of cuts that we’re used to hearing from the so-called community sector. The organised chaos of the rioters was shocking, but it was heart-warming to hear how those residents organised their own response quite literally overnight. Where the rioters used their blackberries, these residents used Twitter via #riotcleanup. But there was still something not quite right. This ‘sense of community’ lasted only as long as the riots were deemed to be a threat. Once the police had regained what was left of their badly diminished authority on the streets of Tottenham, Hackney, Croydon and elsewhere; everybody went back home and got back to their socially detached lives. Still it was nice while it lasted and it wasn’t another consultant-led initiative claiming to be community-centred and bottom-up, when it is nothing of the sort. I have in mind, for instance, the response to the burning down of the House of Reeves in Croydon. A family-run furniture store that had stood there for 140 years became one of the iconic burnt-out images of the riots. A year later the Reverse Riots campaign – run by the state-sponsored youth volunteering outfit vInspired – decided to plaster the remaining building with what The Guardian describes as ‘more than 4,000 images of young people holding positive statements’. That’s it. I have no idea what those positive statements were, because even The Guardian (a newspaper that tends to like this sort of thing) couldn’t be bothered to read out any of those messages. It was just another vacuous and uninspired ‘lets say nice things about young people’ initiative. But there are good examples too. Personally I like pop-ups that don’t over-claim or take themselves too seriously. The likes of Sing London and Ping! England. Pianos and table-tennis tables just popping-up for no particular reason in public places. Really fun ideas that trust people not to nick the table tennis bats or the pianos for that matter. Table-tennis tables popped-up in Walthamstow during the Olympics; and last time I looked they were still there and being used. But the connection with The Games meant that they also became associated with the desperation for a ‘legacy’. Not just an East London legacy, but a feel-good legacy. In a way, the Games themselves were treated as one massive ‘pop-up’ response to the riots. According to The Independent they were an opportunity to regroup around a ‘common purpose’. But as Zoe Williams, who also spoke earlier today, put it: ‘We can’t hold an Olympics every year’. The world of the pop-up community is very different to the cloth-capped communities of old. In the absence of a sturdier or more deep-rooted solidarity, we seem to be scrambling around to capture what are manifestations of a very impermanent sense of community. From the riots of 2011 to London 2012, every event becomes a pop-up vehicle. Every genuine sentiment, whether it’s that of the clean-up volunteers or of the Games Makers, is deadened by officialdom’s desperation to capture it. In an interview with BBC News, Nick Hurd, Minister for Civil Society, talked about the importance of the response to the riots, of the Jubilee and London 2012. With remarkably frank cynicism he said the government wants to ‘tap-in’ to these events. He was being interviewed about the recently launched We will gather website. Built by the people who brought us #riotcleanup, and paid for with £100,000 of government money; it is only the latest attempt to bottle that community spirit. While I wish them well I think this is an impossible task, especially when officialdom gets so eagerly involved. But we needn’t be so cynical ourselves; there is still life in the pop-up community. I’ll leave you with an example. Last week I read about the Battle of Barnet. (This has nothing to do with the Battle of Ideas, by the way.) In contrast with the vInspired House of Reeves pop-up, this Guardian story featuring a ‘hotchpotch alliance of squatters, retired booksellers, local bloggers and international anti-capitalist activists’, is genuinely inspiring. Not the sort of people that I would ordinarily have much time for admittedly. But this was different. They had just succeeded in preventing Barnet Council from closing a library. They had turned the big society tables on the infamous no-frills ‘Easy Jet’ Council. It is now being run, reportedly, by a ‘volunteer staff of guerilla librarians’ and supported by residents who have ‘donated 5,000 books to restock the shelves’. Now that’s my kind of pop-up community. And the volunteers even run ‘children’s story sessions’. Maybe I’ll move to Barnet. Posted on October 22, 2012 Categories Big Society, Community, Parenting, Riots, VolunteeringLeave a comment on Pop-up communities: here to stay? After the Riots … just fire-fighting? I was invited to speak earlier today at the London Asian Fire Service Association conference The Riots – A Year On. This is what I had to say. There is something to be said for the view – often held to be a conservative one – that society has broken down, or at the very least those communities affected in London, Birmingham, Liverpool and Manchester, broke down during last year’s riots. Those few days revealed that something quite serious had gone wrong, something rotten had been left to fester for too long. We can ridicule the conservative for banging on about a moral decline that can be traced back to the Sixties. But what of those who hark back to the only slightly more recent Eighties as a supposed explanation. That’s when the rot set in say some of those on the left. I should probably say that I use the terms right, left; conservative and radical with abandon here. But they haven’t meant very much in a while. Still are those supposedly radical (or is it left-liberal) commentators with their belief that mass looting and violent disregard for one’s own neighbourhood is some kind of statement about socioeconomic disadvantage, any closer to the truth? Or have they just swapped one excuse for another? Is the notion that we are more selfish and consumerist any more of an explanation than that society has become more permissive? At least old-fashioned conservatives had a set of convictions that they stuck to regardless – even if all that is left is a conviction for convictions of rioters, or even virtual rioters. The absence of which is, in my view, one explanation we might entertain. Especially as the decline of the sorts of institutions about which they felt so strongly (e.g. the Church, the family) – not to forget those held dear by the left (i.e. the trade union movement) – has left a vacuum. 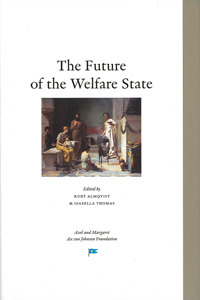 The welfare state has extended its reach as they have collapsed, but as an institution it tends to engender relationships of dependency and entitlement. In the absence of a clear left-right distinction, or institutions that might have a more positive role to play in the life of communities, the solutions tend to converge. So while the coalition were quick to blame problem families for the riots – a category created by New Labour remember – those who regard themselves as progressive were busy pitying and patronising them with talk of providing parents with ‘support’. The language may sound more liberal, but the result is much the same. Parental determinism – the belief that parents are responsible for just about every social problem you care to name – is rife. They are made scapegoats on the one hand for society’s problems, and yet denied the opportunity to decide for themselves whether to smack their children or not, on the other. To his credit David Lammy MP for Tottenham made this very point after the riots even if he too in his book about the riots – Out of the Ashes – returns to New Labour type when it comes to proposing policy solutions. Much the same can be said about the discussion of young people and the riots. Youth unemployment is a huge problem today. With over a million young people out of work in the UK, and there are over 5 million unemployed in the European Union – that’s more than 20% of the EU population – it is a problem that can hardly be underestimated. But that doesn’t mean it should be used as an excuse for the riots – not least because it was a phenomenon confined to Britain, actually it was very English – anymore than the Sixties, the Eighties or so-called problem families. However dire the situation may be and however clueless the political class might be when it comes to proposing solutions; this is not just an economic problem. The stay-at-home generation where young people opt to stay at home with mum and dad rather than venture out into the big bad world is one troubling trend. The much-cited unemployability of young people is another. It is not just that times are hard. Times have been hard before but – to use a quote I thought I’d never use – there was a time when we might expect young people to ‘get on their bike’ whether it was to look for a job, or just experience life beyond their own – or at least their parents’ – doorstep. Instead today society seems beset by punctures or else insists on finding all sorts of excuses for leaving the metaphorical stabilisers on. Which brings me to the rest of us – the grown-ups. From problematized parents to put-upon police officers, our authority and self-respect as adults has never been more in question. While the violent tantrums of youth are indulged and given unwarranted significance by their ventriloquist dummies in the left-leaning commentariat; those who should be holding the line – quite literally in the case of the police – are no longer able or its seems willing to. Whether its teachers unable to control their classes or police officers complaining about being called names by government ministers; traditional authority figures and the institutions they embody, are experiencing a profound crisis of confidence. While young people are infamously informed about their rights and have an unequalled sense of entitlement; adults are much diminished. They don’t know how to exercise what authority they might have, far less back each other up. Given all this is it really such a surprise that those communities collapsed? It’s a wonder that it didn’t happen much sooner. Indeed so emptied out of authority are those that once exercised it that few dare to go much further than suggest we engage communities with this or that initiative. To boost people’s confidence or protect them from their own vulnerability. But this is no answer either. As before, the language may sound ‘supportive’ but it tends only to undermine. I spoke at an event last week about community engagement and came to the conclusion that sometimes it is better that we – by ‘we’ I mean the authorities, or those in the public, community or voluntary sectors who make-believe that they represent the community – don’t engage. I think those of us who see it as our job to ‘do something’ about the riots should at the very least hesitate. If we get the analysis wrong, and in my view nearly every report and comment piece on the riots so far has, then to act on that wrongheaded analysis can only make things worse. We might do better to disengage from the community for a moment, and engage with the problem presented by last year’s riots in its own terms. What happened in those few short days of last summer was quite unprecedented. It had never happened before in quite that way. It wasn’t a rerun of the Eighties riots. It had no political content whatsoever. That was grafted on afterwards by commentators, researchers and politicians looking for a new hook for old arguments. I think we should all, like doctors, take the Hippocratic Oath. For those of you that haven’t read it – I had to Google it myself – I am referring to the bit that says you should ‘first, do no harm’. Medical practitioners around the world are taught this important principle. According to Wikipedia: ‘It reminds the physician and other health care providers that they must consider the possible harm that any intervention might do’. This is not so much a reminder for us as a warning – and one we should take very seriously if we don’t want to undermine communities further – that those of us seeking to intervene in communities should think about the potential harm we might do by the very act of intervening. I’ve already talked about how figures of authority, whether they work for the state or reside in communities, are routinely undermined these days. By constantly questioning the capacities of parents to bring up their own children; by giving credence to the highly dubious excuses of rioters; by insisting that communities can’t cope without us ‘supporting’ them, we inevitably do damage. The questioning and doubting alone make it very difficult for people to work things out for themselves. By constantly intervening – however well-intentioned our interventions might be – we implicitly, if not explicitly, infantilise the very adults who we expect to set an example to the young people, and they were mostly young people, who set out to destroy their communities. Darra’s report concludes by arguing that it is the responsibility of the authorities to put individuals, families and communities ‘back on their feet’. No it isn’t. That is the responsibility of individuals, families and communities themselves. To say otherwise is not only patronising, it is also wrongheaded and liable to reinforce the dependency of young people who have picked up all too easily on the message that they’re owed something; or of the 120,000 so-called problem or ‘troubled’ families – or the Panel’s 500,000 ‘forgotten’ families – that are the lucky recipients of no end of supposedly supportive programmes; and of entire communities who are told that they need ‘building’ by us. We might flatter them and say we’ll involve them in this or that, but they’re dependency on our interventions is at least the start and usually the end of it. I should probably admit to an interest here. Not as the old-fashioned ‘lock them up and throw away the key’ Tory some of you might take me for – that would be to forget what I said earlier about the old poles of left and right not meaning much anymore. No, I’m a community engager. That’s my job. I spend most of my time intervening in neighbourhoods on behalf of public and voluntary sector organisations; while, of course, reminding myself of the Hippocratic Oath. So I am sympathetic to those of you in the room who spend your time – when you’re not fighting fires – running various community initiatives. You, like me, are only trying to do what you think is best to avoid those ugly scenes of last summer from happening again. Or to make some sort of improvement to people’s lives. You might even kid yourself that you’re empowering people, or involving them or doing wonders for their self-esteem. I just ask you to ask yourselves whether what you’re doing is really for the best, whether the community you are working with is really going to better off as a result? Is it going to stop the riots happening again, or is it going to contribute to the conditions that made them possible in the first place? In other words, is it just going to be another in a long line of initiatives that far from building communities actually just chips away at their foundations? There is a lot of talk – not least in the Panel’s report – about building the ‘character’ of young people, and the resilience of communities. But these sorts of qualities – and they are very desirable qualities – can only emerge from within communities. They cannot be taught or built from without. That can only happen if we leave them alone a bit more, and intervene a lot less. I will be speaking at the Battle of Ideas this month at the debate Pop-up Communities: here to stay?, part of the After the Riots strand at the Barbican. Posted on September 28, 2012 Categories Community, Parenting, Riots, Smacking, Welfare, WorkLeave a comment on After the Riots … just fire-fighting?